We are studying the 3 states of matter in Science- solid, liquid, and gas. 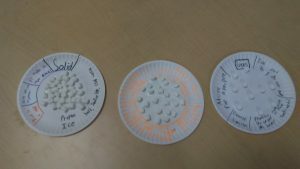 We are discussing the properties of these three states of matter that are observable and measurable. 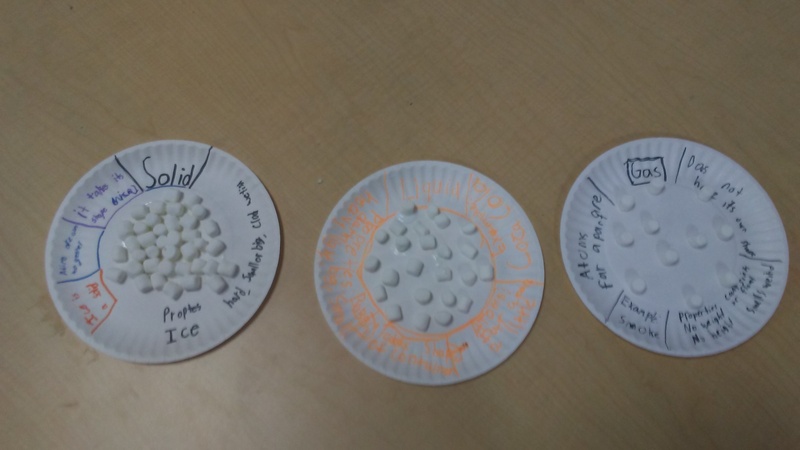 Today, students made plates to represent each of the states. 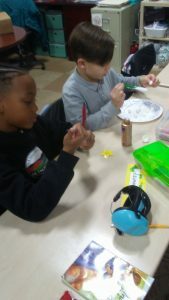 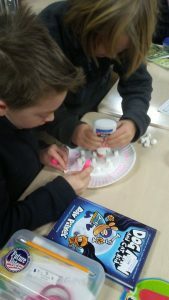 They used marshmellows to represent the molecules in each of the states. 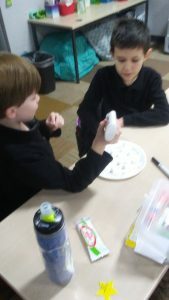 They described the state of matter and named some properties. Ask your champion which state of matter they explored today!